Looking to speed up linking descriptors to your media? Dedoose has you covered! Now with version 8 is the new Auto Link button at the bottom of the Descriptors tab. 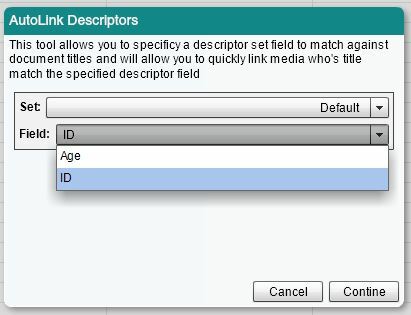 Using Auto Link will take the title of your media and link it with any descriptor that matches in a field of your choosing. Let’s do a quick example! 6. And that is it, your media will be auto linked. This is just one more new feature in version 8 that makes using Dedoose simpler, faster and more efficient. Stay tuned as we continue our mini-blog series on all the different ways Dedoose is improving as we finalize our next update.